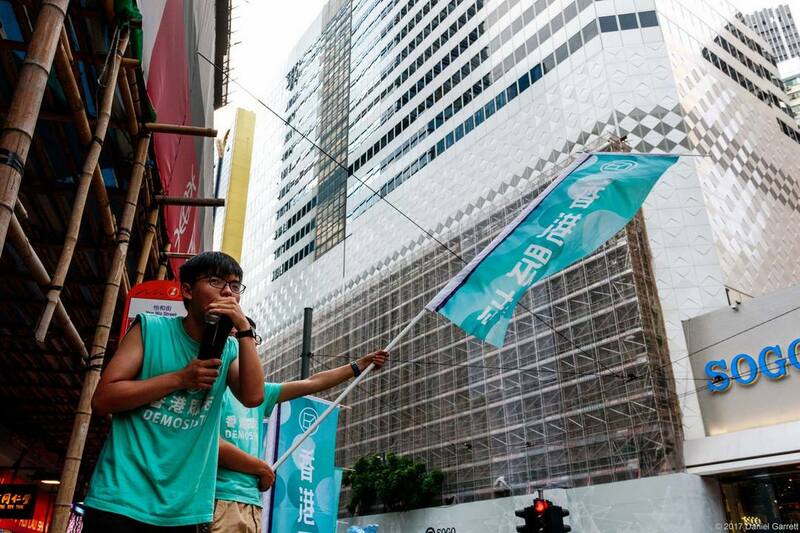 Pro-democracy activist Joshua Wong says that Asia Society Hong Kong needs to give a “reasonable explanation” for reportedly disallowing him from speaking at a book launch originally scheduled to take place at its Admiralty venue last Wednesday evening. Freedom of expression NGO PEN Hong Kong eventually decided to relocate the launch of Hong Kong 20/20: Reflections on a Borrowed Place – of which Wong was one of the authors – to the Foreign Correspondents Club. HKFP Editorial Director Kris Cheng speaking at the PEN Hong Kong book launch. Photo: Foreign Correspondents Club. Headquartered in New York, Asia Society’s stated aim is to promote collaboration between Asia and the United States. 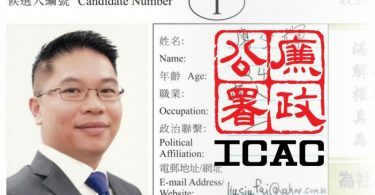 Its Hong Kong board of trustees includes Ronnie Chan – a real estate mogul and key supporter of former chief executive Leung Chun-ying – and young pro-Beijing property tycoon Lau Ming-wai. “Despite earnest efforts to collaborate on a programme design, we were unable to come up with one that would be mutually compelling to our respective target audiences,” the NGO told HKFP in relation to its abandoned discussions with PEN Hong Kong to launch the book at its venue. 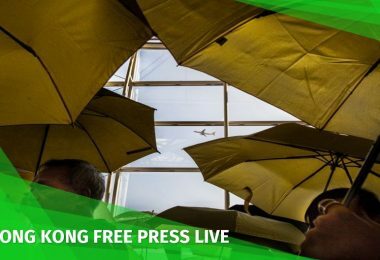 Last November, Asia Society Hong Kong also cancelled a scheduled screening of Raise The Umbrellas, a documentary on the 2014 Occupy protests. Wong wrote on Facebook on Thursday that Asia Society Hong Kong needed to explain its purported decision: “Even though I know that the NGO has always had a conservative stance, this was just a book launch,” he said. Joshua Wong. File photo: Dan Garrett. Wong eventually did not attend the relocated book launch at the Foreign Correspondents Club, as he and other Demosisto members were staging a sit-in at Wan Chai’s Golden Bauhinia Square to protest Chinese President Xi Jinping’s visit to Hong Kong. US Congressman Chris Smith, co-chairperson of the Congressional-Executive Commission on China, also criticised the NGO in a strongly-worded press statement on Wednesday. 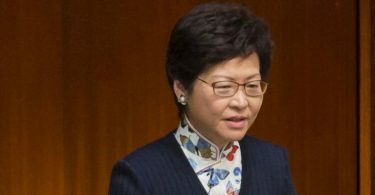 “Maybe the Hong Kong branch should just be rebranded as a ‘Confucius Institute’ in order to abandon any pretence,” he added. Confucius Institutes are Chinese language and cultural centres set up in various universities across the world, but they have been criticised for purportedly advancing the Communist Party’s agenda and conducting surveillance on overseas Chinese students. PEN America – the US sister organisation of PEN Hong Kong – called the NGO’s decision “unbelievable” on Twitter, where it faced a backlash from journalists. 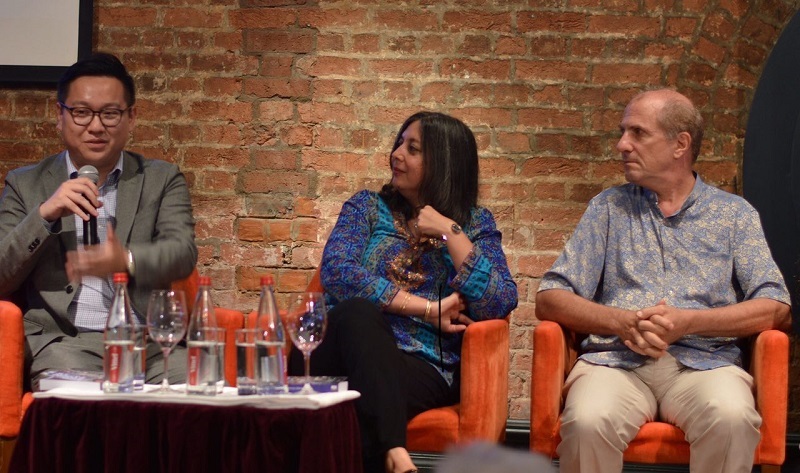 The Guardian’s Hong Kong correspondent Benjamin Haas called the Foreign Correspondents Club “the last bastion of free speech,” while journalist Christopher DeWolf spoke of boycotting Asia Society. Released on the occasion of the 20th anniversary of the city’s transfer of sovereignty, Hong Kong 20/20: Reflections on a Borrowed Place is a collection of reflective pieces from prominent activists and English-language journalists and writers. HKFP has contacted the Asia Society in Hong Kong and New York for comment.